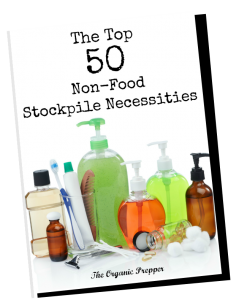 The Self-Reliance Weekly Report is a collection of strategies, made up of the articles, books, DIYs, and products that I found useful on my own little prepper’s homestead. This week, “normal” winter is kicking in with colder temperatures and more precipitation in many parts of the country. Protecting your family, animals, and gardens is of great importance when the mercury stays down for an extended period of time. What to wear outside, winter edition. When the snow is flying and the weather is cold, it’s vital to protect yourself from the potential of hypothermia. Layering is an essential part of keeping warm, and there are 4 specific layers you should have on. Not only should you dress in layers, but you should always have extra layers in your vehicle in the event of an emergency. (Here’s a peek at my winter vehicle emergency kit.) Who can forget the family of 6 in Nevada who survived for days in the frigid wilderness with only what they had in their vehicle? Accidents can happen to any of us, and inclement winter weather only makes them more likely. This guide from the US Marine Corp is a thorough overview of winter survival skills. The following articles will also help. You must make sure you know the priorities of winter survival and you’ll also want to check out this list of winter survival skills from a former Alaskan trapper, too. Do you know what to do if you are lost in the wilderness? Speaking of outdoor survival skills, what would you do if you were lost in the wilderness? Do your kids know what to do if they get lost out in the forest? Check out these tips from a search-and-rescue class. Because it can be difficult to know everything, I also keep a little guide in all of the family backpacks, in my glove box, and in my everyday carry kit in my purse. Use Alaska as a cautionary tale of what happens when the transportation system fails. Obviously, Alaska isn’t producing a lot of food this time of year. The remote state is almost completely reliant on barges that bring new supplies on a regular basis. When a cargo ship suffered mechanical problems last week, it became evident almost immediately how vulnerable the food supply there was. It’s incredibly important to have an emergency food supply and to build a prepper stockpile. Don’t be too smug if you live someplace with a less fragile supply line. There are many reasons the transportation system could break down, and if the trucks stopped running, the effects would be dramatic. Prepper Night at the Movies. When the snow flies and it’s cold outside, make some popcorn and get in a prepper state of mind with these 40 flicks that will get your wheels turning. They aren’t all academy award winners – in fact, some of them are Darwin award winners and guides to “what NOT to do in an emergency.” The key is to use them as a point of discussion with family members and to exercise your preparedness mental muscles while watching them. Be sure to read the comments, too – as always, you guys have great additions to the original article. Don’t forget to leave your own suggestions if I left out your favorite survival movie. Do you want to prep but you’re not sure how to get started? We can help. 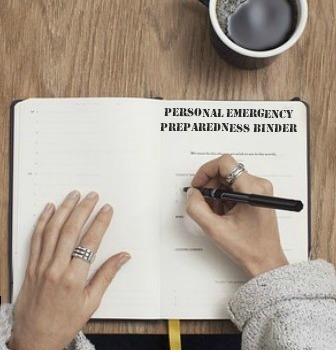 Go on over to Preppers University and check out our Prepping Intensive course. And if you’ve been at this for a while and want to take your preparedness to the next level, check out our 6-Week Advanced Prepping Intensive. Which Prepping Intensive Course Is Right For Me? Contrary to popular belief, winter isn’t a lazy time on the homestead. There are extra precautions and steps you must take to keep your animals healthy. Here’s a great overview of keeping all of the critters fed and safe in the cold weather. Want even more winter homesteading details? This round-up has something for everyone, no matter what kind of animals you keep. When a winter storm is coming, extra preparations have to be made to keep your livestock cozy. While everyone else is rushing to the store for bread and milk, the homesteader has other priorities. Learn how to prep your homestead for an impending blizzard, and how to clean up after the snow falls and get back to your routine. Every gardener’s favorite winter activity is planning the next garden. When you’re sitting there by the fire with a hot cup of tea, browsing the seed catalogs (be sure to check out this gardener’s favorite seed sources), you are going to want to look at this fantastic planner by Granny Miller. (It’s totally free!) This garden planner is designed with the home preserver in mind, and since I do a lot of canning, it is going to be my personal guideline to the year ahead. And if you live in the city without a large garden space, don’t despair. This container gardening round-up is just for you, so that you can begin planning for more food self-reliance too. Do you want to raise chickens but aren’t sure how to get started? I just took the plunge this year, and it’s wonderful! This thorough guide will get you on your way to fresh eggs every morning. And if you want even more chicken information, the resources here will make your day. Can’t find washing soda? Make it yourself! Want even more DIYs related to self-reliance? Here’s a whole list of them. The most revolutionary act is to be self-sufficient and in need of nothing that the government can provide for you in exchange for some small liberty. When there is nothing that you require enough to submit, then bullying you becomes much more difficult. Commit these random acts of resistancee. Do you want to free yourself? Then you have to be more self-reliant. Here are four important steps to creating a life of independence. Brr….it’s been a chilly week at our little homestead. (Of course, in comparison to the temperatures many of you are dealing with, I’m just being a big baby.) But when you get used to milder temperatures, drops to near-freezing are pretty dramatic. This week, we’ve had chickens in our “infirmary.” The beautiful rooster I picked up a couple of weeks ago didn’t work out. He injured 3 of my chickens pretty severely. I was planning to send him to the crock pot, but he got a last minute reprieve when a friend with a more mature flock offered to take him. My poor little Silkie rooster, Orwell, lost his comb and potentially his mind, as he seems to be suffering from chicken PTSD. His behavior is completely different and he wants to beat everybody up. He used to be so sweet. Because he’s small, the hens are having none of it, and there is much squabbling in the hen house. I had to return him to jail in the brooder yesterday briefly – sort of a chicken time out. I think I may rename him after a local restaurant called “El Pollo Loco”. (The crazy chicken.) Two hens who had been quite battered seem to be recovering, one a little more slowly than the other. My poor landlord. And poor may be the key word, because the expense of the septic repair just keeps climbing. Once the government gets involved everything gets more difficult and pricey. He was required to have the county out and they kiboshed the original outrageously expensive repair plan and recommended an even more expensive plan. Again, incredibly thankful I rent instead of owning. We found a very nice place to move with something rare in California: an abundant year-round water supply. I’m pretty excited about this. Of course, with water running through the property, predators will be more prevalent, so we will have to take some extra steps to keep our livestock safe. One thing about my impending move that will break my heart is the loss of my glorious, perfect henhouse and run. (*weeps*) When looking for budget-friendly ideas for a predator-resistant chicken environment, I found this great podcast (with the written transcript also available.) I am hoping to modify a large chain link dog kennel at the new property with some hardware cloth on the ground and some kind of secure structure for night time. Meanwhile, our major activity now is packing, packing, packing. I really thought I was done with this, but as it turns out, here we go again. What’s going on at your farm or urban homestead right now? How’s the weather in your area? Did you have bad weather, and if so, what did you do to keep your animals warm and cozy? Please share your updates in the comments below! This book tells you how to build a pantry based on healthful, nutritious whole food, even if your budget is tight. (Full disclosure: I wrote it when I was pretty darned broke.) This is the second edition of the book and is greatly expanded, with more how-tos, more lists, more budget advice, and even a bonus chapter full of healthy, pantry-based recipes. ORDER HERE.